This versatile waterproof digital camera is an affordable solution to Sports photography and video. The compact housing is waterproof to 140 feet/ 40 meters and features a shock absorbent liner, double O-ring design and full function control buttons. 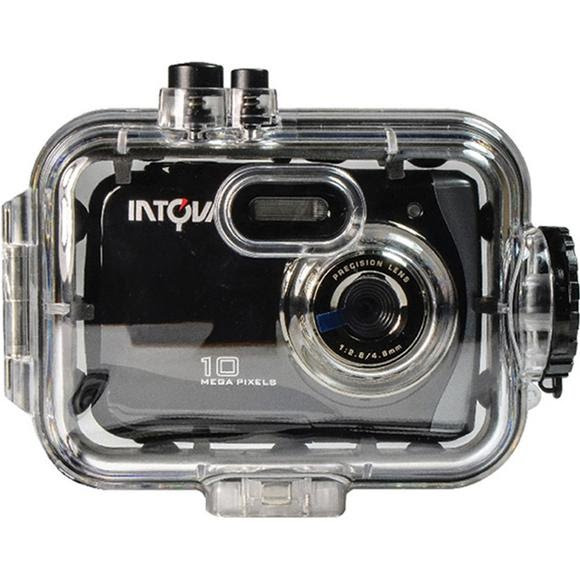 The camera is waterproof to 10 feet/ 3 meters and features great video and photo performance. This versatile waterproof digital camera is an affordable solution to Sports photography and video. The compact housing is waterproof to 140 feet/ 40 meters and features a shock absorbent liner, double O-ring design and full function control buttons. The camera is waterproof to 10 feet/ 3 meters and features great video and photo performance. 2 AAA batteries provide easy power solutions anywhere in the world. Memory is via Micro SD card(not included) up to 32GB for hundreds of photos and/or hours of video content.